I attended a cocktail dinner at Meat Market over the summer and it was outstanding . The menu looks great for this one and it's a good deal too.The dinner will take place on Tuesday, December 17th at 7:30 p.m. and is $75.00 plus tax and tip. The dinner will be paired with Mount Gay® Rum cocktails designed by mixologist Ezra Pattek. Amuse Bouche - conch ceviche spoons with coconut, lime and rum; curried carrot soup shots topped with basil rum foam; and rum BBQ braised lamb spare ribs. This will be paired with Pattek’s Black Barrel Daiquiri consisting of Mount Gay® Black Barrel Rum, fresh lime, sugar and a touch of Campari. First Course - achiote-marinated shrimp and scallops with celeriac purée, roasted pepper and papaya salad. 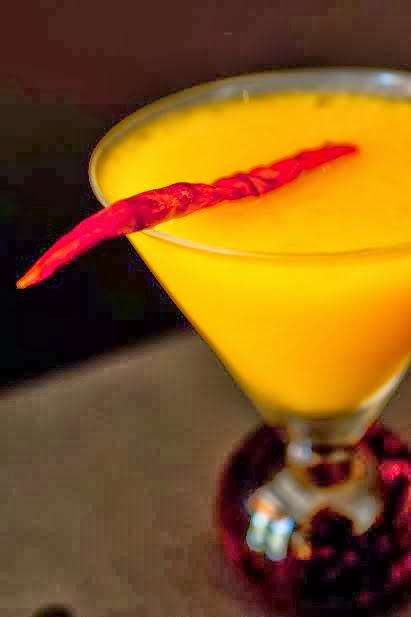 It will be paired with The Mercado – a tropical blend of Mount Gay® 1703 Rum, passion fruit, fresh lime, mint and habanero. Second Course - wood grilled Texas quail with a rum molasses glaze, sweet corn pudding tartlets and sous-vide purple endive will be served with a classic Dark n Stormy – Mount Gay® Eclipse Rum, fresh lime, house-made falernum and ginger beer, topped with a Mount Gay® Extra Old Rum floater. Third Course - diners will sample one of Meat Market’s signature delicacies – Snake River Farms Waygu beef shoulder wrapped with apple-smoked bacon and sliced on sweet potato and plantain hash and truffle honey glazed miatake mushrooms. Paired with Pattek’s Barbadon Manhattan – Mount Gay® Black Barrel Rum, sweet vermouth, peppercorn honey syrup and aromatic bitters. Dessert - white chocolate passion fruit & almond bread pudding with rum crème Anglaise and passion fruit fluid gel will be offered for dessert. The Extra Old Fashioned – Mount Gay® Extra Old Rum, white crème de cacao and tiki bitters. 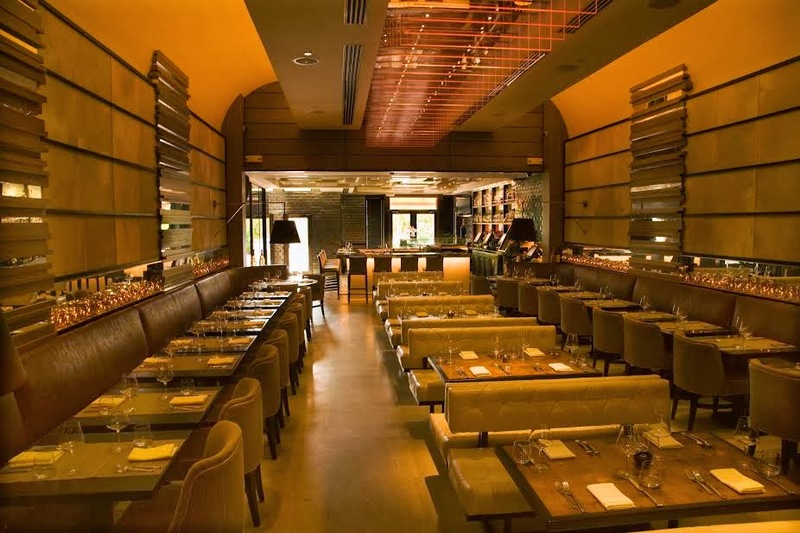 Guests wishing to attend the dinner may make reservations by calling (305) 532.0088 or booking online at www.meatmarketmiami.com. 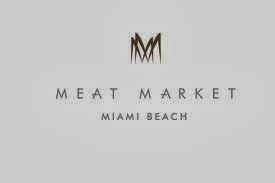 Meat Market is located at 915 Lincoln Road on South Beach and serves lunch daily from noon – 4pm and dinner from 6pm - midnight. Bar opens at 5pm daily and Happy Hour is available each Friday, 5pm – 8pm.